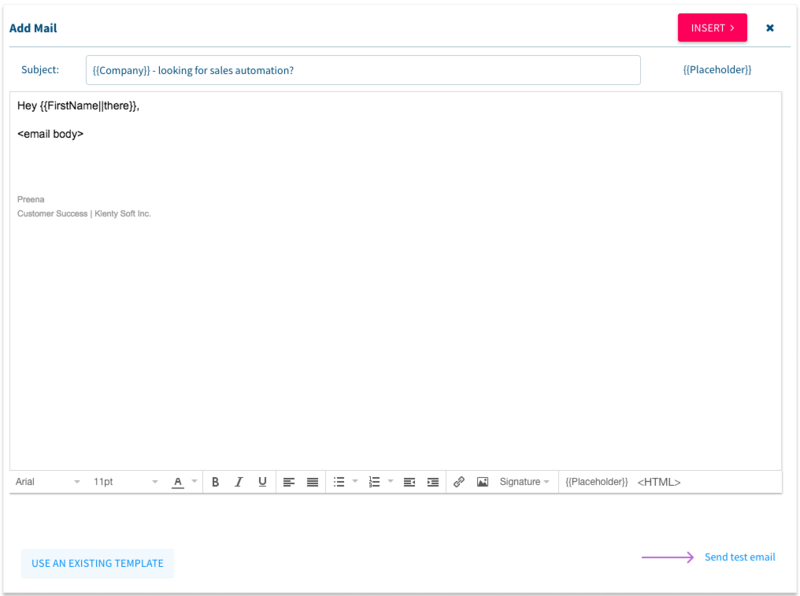 In the Cadence, click on the email step that you want to test. At the bottom right, click on Send test email. 3. 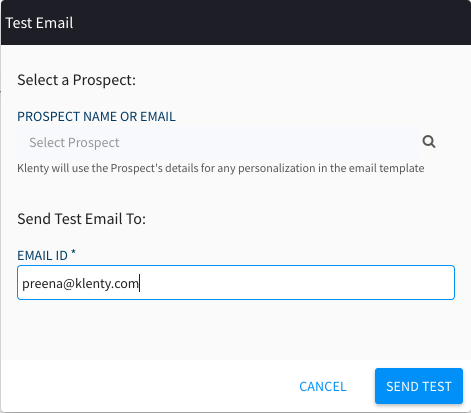 You can select a prospect to fill in the placeholder details for, then enter the email id that you want to send the test email to, and click on Send Test.